This weeks challenge may sound easier than it really is. Do you pay attention when you or someone you care about begins to gossip in your presence? Do you yourself spread gossip? When you partake in the act of gossiping, you could potentially be drawing into your life negativity without even being aware. 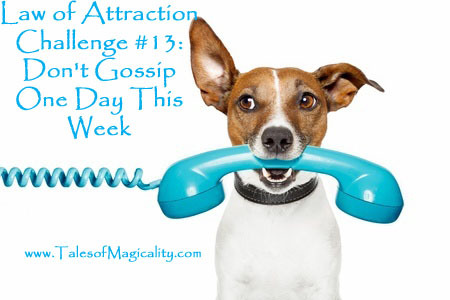 So this week we challenge you to not partake in any gossiping any day–at all! You will surprised at how many opportunities exist to allow gossip to enter your life. We wish you luck with this challenge and please share your experiences below!